Aviva Leidner and Deenah Katz, who made aliyah with Nefesh B'Nefesh, explain why they wanted to live in Israel. 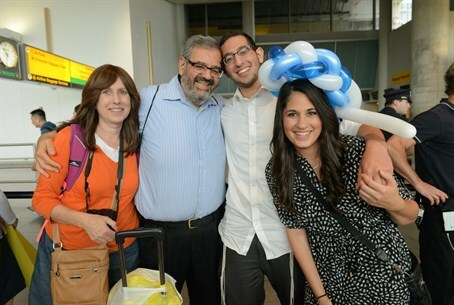 Arutz Sheva continues its series of videos accompanying the olim who arrived in Israel on the July 2015 Nefesh B’Nefesh Summer Flight. This time we meet up with Aviva Leidner, a 22-year-old from Spring Valley, New York, and Deenah Katz, a 25-year-old from the city of New York. Both Leidner, who is a mechanical engineer and Katz, who is an occupational therapist, hope to continue their studies in Israel. Katz told Arutz Sheva that she decided she wanted to live in Israel about seven years ago, but chose to finish her education in the United States first. “I felt like there was something missing [not living in Israel],” she added.